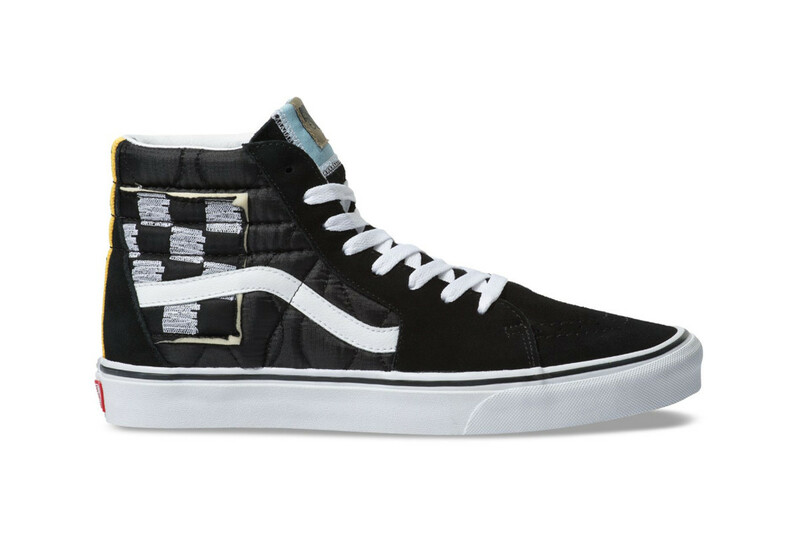 After releasing the VANSCII Sk8-Hi, Vans continues its series of reworked classics with a “Mixed Quilting” take on the Sk8-Hi. This time around, the iconic high top features a black suede base that’s accented by a padded collar. An exposed foam patch, tacked on checkerboard patch and Jazz Stripe branding round off the shoe. 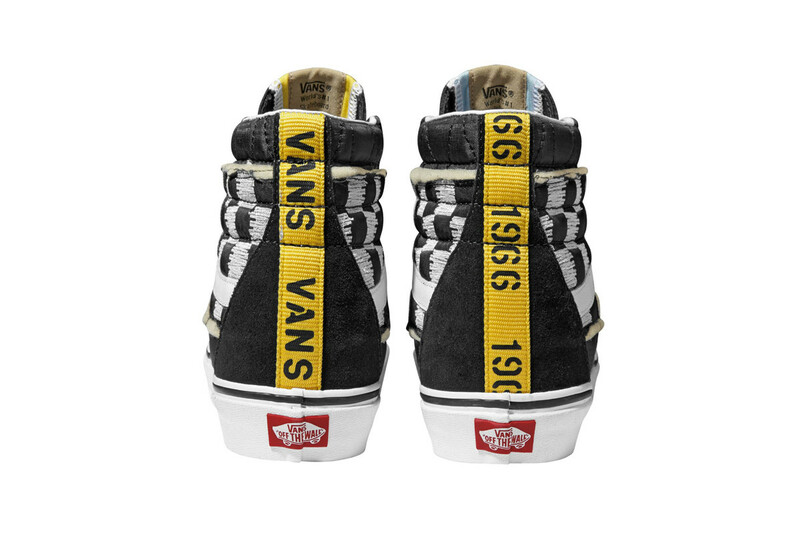 Additional detailing comes in the form of exposed tongue patches and yellow nylon banding straps applied to the rear of the shoes. Finishing up the shoe is a classic white midsole complete with a gum rubber waffle outsole and a red Vans heel plate.